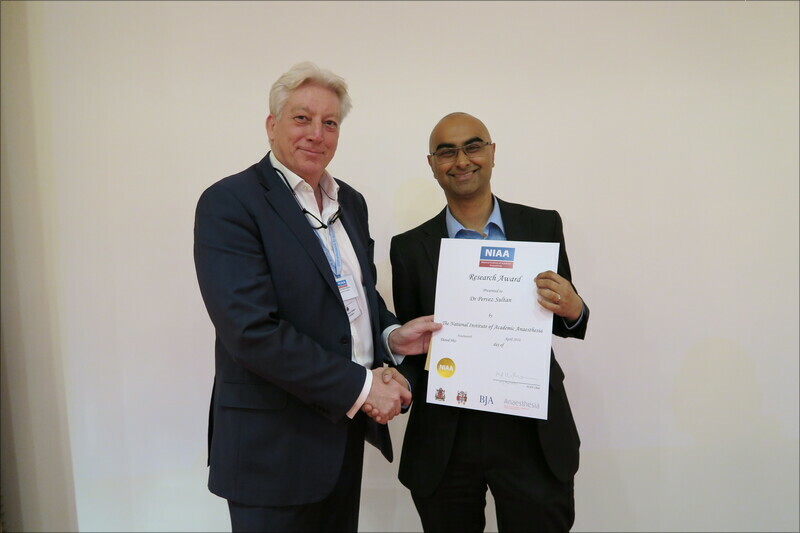 The NIAA Research Award aims to promote and encourage current (within 18 months of submission deadline) and active researchers within the field of anaesthesia, perioperative medicine or pain research in the UK. It will be awarded to an individual who has demonstrated excellence in scientific research relevant to anaesthesia, perioperative care or pain. The award will allow new investigators to achieve recognition through presentation at a national meeting with peer-review. The award will be presented annually at the NIAA Annual Scientific Meeting. For 2018 this will be held on Monday 21st May 2018 at the RCoA in London. Applicants should ensure they are free to attend and present at the Annual Scientific Meeting in the event of being shortlisted. This award is open to all investigators of anaesthesia, perioperative or pain research within the UK who are members of one of the NIAA's founding partners or funding partners. This includes consultants or equivalent within 2 years of appointment. The applicant will have completed a 'body of work' that may have been presented at an equivalent scientific national or international meeting or published as an abstract or full paper in a peer reviewed journal. A 'body of work' will include a project that covers a clear, evidence-based research question, appropriate methods, well-conducted study/studies and statistical analysis of results drawing to a valid conclusion. A 'body of work' would typically be the equivalent to two or more research papers on one subject area or from a higher degree thesis (MD/PhD). There is no restriction on the number of references cited but they are included in the page limit. Please include the following statement in your email of submission: "I confirm that all authors listed support the submission of this abstract to the NIAA." Where appropriate, please also include the following statement: "I confirm that this study received ethics committee approval or was conducted under the Animal (Scientific Procedures) Act (1986) (include licence numbers) or equivalent." Summary with word count, title and author should be submitted as plain text, rich text or Microsoft Word format to: info@niaa.org.uk. Applicants should also indicate their membership of NIAA partner(s) in their covering email. Work may have been and can subsequently be presented or published elsewhere. The summary of research will be published in the NIAA newsletter and website following agreement from the author. In some circumstances applicants may submit a modified version for publication if inclusion of data may preclude future publication or presentation. Discussion and appropriate conclusions drawn from the summary of results including the impact that it would have on the future of anaesthesia and perioperative care. The top scoring applicants will be invited to present their work orally and will be eligible for the NIAA Research Award competition. Finalists will be expected to give a 15 minute oral presentation with 5 minutes available for questions and discussion at the NIAA Annual Scientific Meeting on Monday 21st May 2018. The winner will be selected on the day. Oral presentation that is clear, delivers a logical approach to the evidence-based background and hypothesis leading to relevant conclusions. Robust and well-designed study methodology. Accurate presentation of results including appropriate statistical analysis with use of figures and tables. Questions answered clearly and constructively. Clear viewpoint on application of results to clinical practice and future direction of research. Use of audio-visual equipment to enhance the presentation. Clinical trials and translational research in cardiothoracic anaesthesia, emergency laparotomy, and chronic pain. 'Big Data' risk prediction for hospital outcomes of surgery. 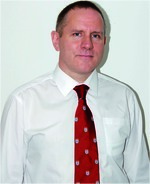 Dr Brian Jenkins is a Senior Lecturer in Anaesthetics and Critical Care Medicine. He is a clinical academic, working in Cardiff University and the NHS. 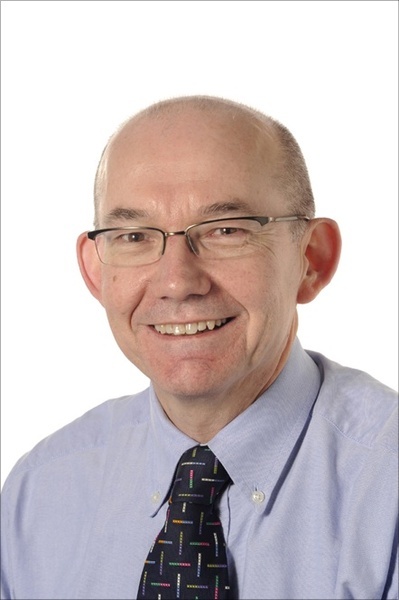 He is an editor for Anaesthesia journal, a reviewer for the Anaesthetic Clinical Services Accreditation process of the Royal College of Anaesthetists and has a lifelong interest in medical education, quality and global health. His clinical interests are critical care and difficult airway management. 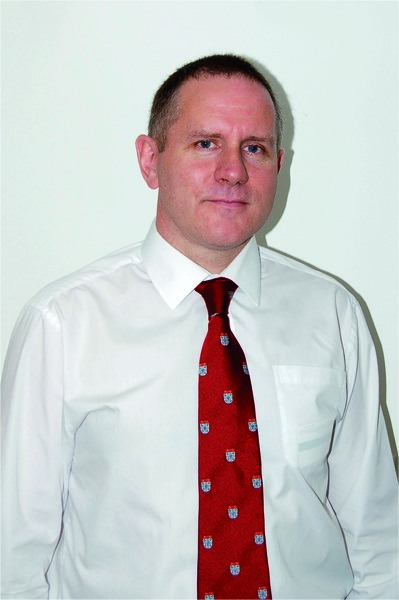 He has held various roles in the School of Medicine at Cardiff University, including Director of Clinical Skills and Sub-dean for Quality and Governance. He is currently Chief Operating Officer of the Bill Mapleson Centre, a partnership between Cardiff University and industry to promote innovation, education and engagement. •	Trained as a Biologist then undertook a PhD in Diabetes Research (1987). •	Completed Post-doctoral 'conversion' to Pharmacology in Leicester then moved to Anaesthesia Dept in Leicester in 1991 where he has been Lecturer, Senior Lecturer, Reader and Full Professor. •	Anaesthetic research interests are predominantly related to peptides and their receptors with emphasis on opioids/pain, cannabinoids and anaesthesia/sepsis and lately the cardiovascular peptide urotensin II. >250 publications (excluding abstracts) with h-index 42. Publications include book in 3rd edition and one patent. •	Awarded Humphry Davy medal, an eponymous chair and Fellowship by election by Royal College of Anaesthetists. 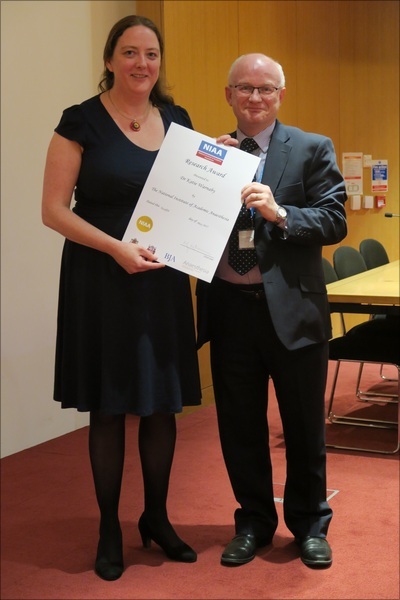 AAGBI Foundation award. •	Previously NIAA Grants Officer until 2017. •	Currently Chairman of the Board of British Journal of Anaesthesia. 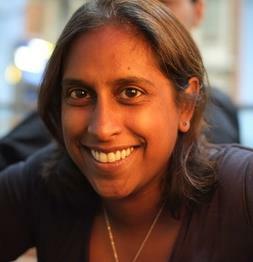 Dr Ramani Moonesinghe is a Consultant and Honorary Senior Lecturer in Anaesthesia and Intensive Care Medicine at University College London Hospitals (UCLH). She is Director of the NIAA's Health Services Research Centre based at the Royal College of Anaesthetists, and the NIHR funded UCLH Surgical Outcomes Research Centre. She is a Health Foundation Improvement Science fellow and leads the Perioperative Quality Improvement Programme and the Sprint National Anaesthesia Projects. She was Academic training advisor to the National Institute for Academic Anaesthesia for 4 years, and was the first academic Training Programme Director for the London Academy of Anaesthesia. She was a Council Member of the Royal College of Anaesthetists between 2008 and 2012, and since 2016 has been the Associate National Clinical Director for elective care at NHS England. 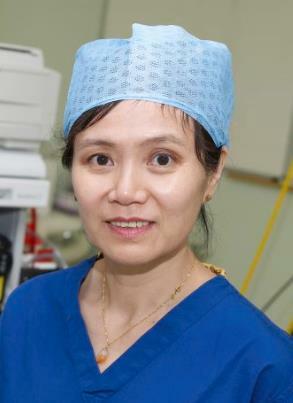 In 2018, she was awarded the Macintosh Professorship of the Royal College of Anaesthetists and has been appointed Professor of Perioperative Medicine and Anaesthesia at UCL (starting August 2018). Her academic interest is Health Services and Improvement Research in perioperative medicine: in particular, the use of data, risk stratification and outcome measurement with a view to improving the quality of care for patients undergoing major surgery. The award winner will hold the 'NIAA Research Award' for one year and will receive an honorarium of £500 and be presented with a certificate embossed with a gold emblem. When awarded, runners up receive an honorarium of £250. The winner will also be invited to present at the AAGBI's Annual Congress. For 2018 this takes place in Dublin, Ireland on 26-28 September 2018. Travel expenses to attend the NIAA Annual Scientific Meeting (standard class with supporting receipts) will be reimbursed for the short-listed finalists and the event fee will be waived. The author confirms the originality of the work. The submission does not infringe upon copyright, proprietary on personal rights.